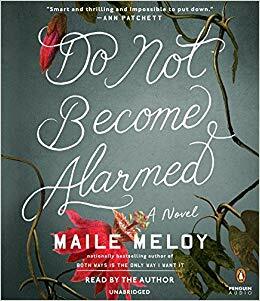 Do Not Become Alarmed by Maile Meloy, read by the author. This book has a lot going on, and more depth than I first thought. Liv and Nora are cousins who have always been close. Liv, a director, introduced Nora, a teacher, to her husband when she had a party that included some of the people involved in one of her films, Raymond is an actor who's had a decent amount of success, allowing Nora to stay at home with their young children, Marcus, eleven and June, six. He's also black, so the kids are mixed race. Nora had a difficult relationship with her mother, who has died recently, and Liv suggested that the two families, including Liv's husband Ben, and childredn Penny, eleven and Sebastian, eight. take a cruise for the holiday season instead. The cruise leaves from the California coast and goes down the coast of Mexico and Central America. On board they meet an Argentinian couple that they become friendly with. The couple has two teenage children, sixteen and fourteen. Mostly they all stay on board the ship and enjoy the amenities, with the adults in particular enjoying the ability to check the kids into the Kids' Club and do their own thing. But as they reach a country that Liv regards as relatively safe, (unnamed, but evidently Costa Rica) they look at doing one of the shore excursions. Liv suggests zip-lining at a location that also has animals, but then the Argentinian man invites the guys for golf with a guy he knows that lives there. So the three women and the kids go on the excursion, an accident causes them to be diverted, the woman and the guide become distracted, and the kids disappear. The story is told from multiple points of view, including both adults and children. So while the reader knows what is happening with the kids, the parents do not, and always seem to be a step behind what is going on. There is also a side story of a young Colombian girl Noemi, who is being taken by her uncle from her home with her grandmother to her parents who are in New York illegally. This is a story of many things, from white privilege to organized crime to migrants. Some of the characters are definitely unlikable, such as Penny, while others have more complex personalities. I liked Marcus quite a bit. I enjoyed the read and the ideas here. This novel takes place over a few months. 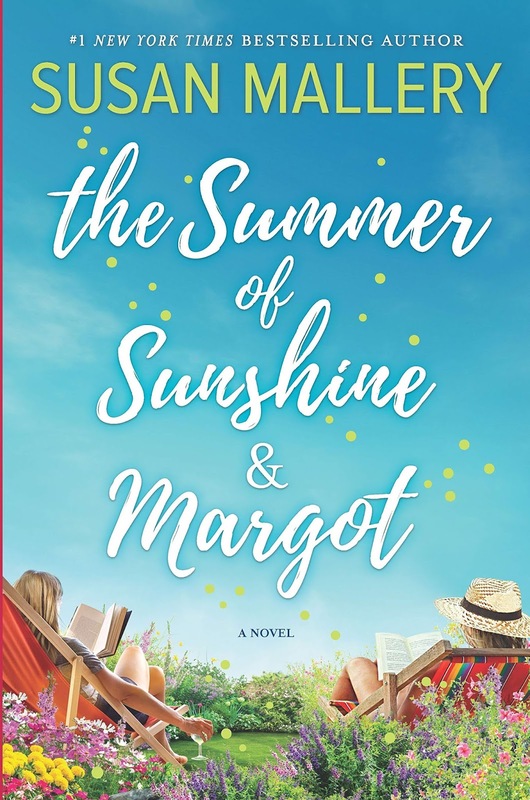 Margot and Sunshine are fraternal twin sisters, raised by a grandmother, who has since passed away. Margot has gone to college and used her people skills and her love of travel to become an etiquette coach. She is particularly good at helping people adjust to new cultural situations. She has just been hired by Bianca, an older actress, well-known for her spontaneous and inappropriate behaviour that is engaged to a diplomat from a small European country. Bianca wants to make this relationship work. Meanwhile, she is living with her son Alec, an academic with an interest in history who has made a home of an historic monastery. Bianca wants Margot to live in while she coaches her. Margot finds the monastery fascinating and uses her off time to explore the building and the grounds. She also becomes friendly with Alec. 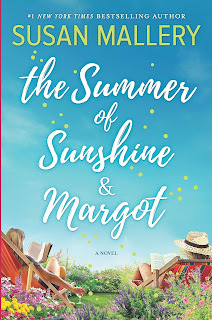 While successful, Margot has a weak spot for her old boyfriend, a man who has dumped her repeatedly, but keeps coming back expecting to resume where he left off. Margot is determined that he won't be in her life again, but with a family history of women making bad relationship choices, she isn't hopeful for a better relationship. Sunshine didn't go to college, finding herself easily diverted from her goals by the interesting men she's met along the way. She's had a spotty career as a nanny, making great connections with the children, but often leaving everyone in the lurch when someone attracts her interest. She too, is determined to stay the course in her new position as nanny to eight-year-old Connor. She's also determined to get her college degree, signing up for her first course. Connor's father Declan is worried about his son as the two recover from the relatively sudden death of Connor's mother from cancer. He has a busy career as a landscape architect, and needs some stability in his son's life. Sunshine and Declan prove to be sounding boards for each other as they each move forward in their lives. 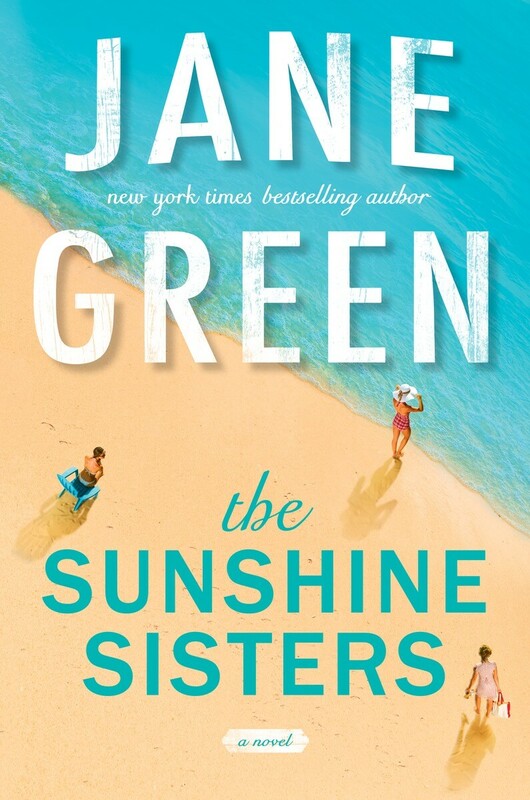 This was a fun read, and I liked the relationship between the sisters, which was close without being cloying. I took my time reading this as I wanted to think about some of the things outlined here more deeply. There are so many things to be ashamed of about this piece of legislation. It was a way that the government reneged on the nation to nation agreements that had been agreed upon in the treaties, and tried to separate the people from their culture. In spite of saying they wanted to have the native people adapt they constricted them from accessing the markets available to other Canadian, separated families, and tried to prevent people from talking amongst themselves. 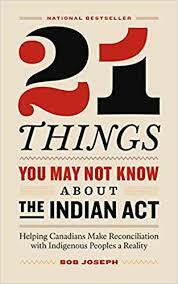 Everything done under the Act was done against the indigenous people, not for them, and when others tried to speak out about the wrongs being done, they were silences as well. I think all Canadians should read this and think about how they would feel if they were the ones subjected to this Act. In this book Perry talks about his discover of Montaigne's writings, his affinity for many of his musings, and his own take on the philosophical ideas in Montaigne's work. This is an intensely personal book, as he talks about his own moments of doubt and his worries. 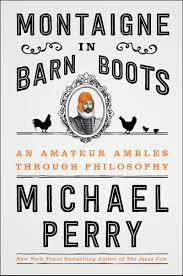 I've always enjoyed Perry's books, and this was no exception. Perry has read Montaigne in translation, but also read many of the critical works about both Montaigne himself and his writings. He cites some of these ideas in his nine essays, as he delves deeper into the ideas of Montaigne. I am free to savor six kale chips and an episode of It's Okay to Be Smart then dive into a tub of Costco Cheese Balls and a four-hour Reno 911 binge-watch. "I now, and I anon, are two several persons," Montaigne once said, the upshot being, the "other people" necessary to achieve the cosmopolitan state of generative tension required for aesthetic fruition sometimes reside within the same body. something I can definitely relate to. In Kidney Stone Wisdom, he compares Montaigne's experiences with the plague of kidney stones, and his own. While Montaigne talks about his ongoing experiences as a chance to strengthen his character before witnesses, Perry summarizes his less dignified response to the experience and expands it to include other bodily frailties more evident with age, and how some of these have provided edifying lessons. Whether it is due to having been raised in a large family or just general wiring, I am able to withdraw deep into my head in nearly all circumstances. As a shy person I sometimes go into public to write, which may seem counterintuitive but in fact self-consciousness is a catalyst for withdrawal. The presence of strangers compels me to lower the louvers and focus directly in on the task at hand. It seems that somewhere around my current life stage, people make one of two moves: Some stiffen, dig in their heels, and attempt to block the future; others reinvigorate life by blending it with the spirit of youth. I hope I will -- and I am working to -- bend toward the second. I am not talking here about the embarrassment of an oldster trying to vibe with the kids. Nor am I talking about abdicating principles. I am talking about offering a hand, opening new doors, and sometimes -- when new blood is best -- stepping aside and standing down. An edifying and satisfying read. 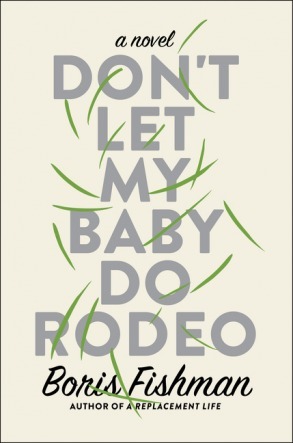 This novel is unlike anything I've ever read. 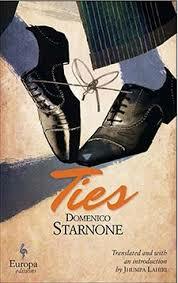 I loved the writing and the character right from the stary, and I could barely put it down. I've already talked it up to one of my co-workers. Bina is the narrator of this tale, writing her thoughts, her warnings, her remarkings on bits of paper she finds around her house, such as the back of receipts. She is talking to the reader, and makes that clear a few times by what she writes. The book is divided into titles sections, some quite short and others very long. The first one, a short one is Warnings and the first page of that makes clear that that is indeed what this is meant to be. The second page of this section has Bina introducing herself, and one of the first things she makes clear is her name. It is pronounced Bye-na, not Bee-na. 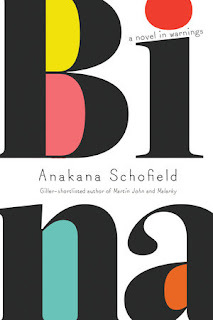 Bina repeats herself a lot, wanting to make clear the message that she is trying to get across to the reader, yet still trying not to implicate herself in anything she shouldn't. As her story gradually becomes more clear, you begin to understand what she has been accused of, and what she has actually done. I liked her. 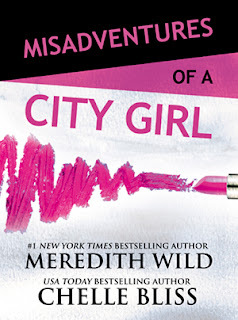 She is feisty and wants to make sure others don't make the same mistakes she made. She is looking back, recognizing where she made a wrong move, and regretting some of the things she did. Bina is a nice woman, a woman that genuinely cares about people, and that is both her strength and her weakness. She knows that she has been taken advantage of, but isn't sure what she should have done to get out of it, only how she could have not got into it in the first place. This is a story of people. People like Bina, who care about other people, and people like Eddie, who don't. Bina is a survivor, but one who struggles greatly. The book has footnotes that are helpful in providing additional explanation, with some reaching back to a previous book by the author that I haven't read, but am now intrigued to. Her first two warnings are about letting in men into your life. One comes via a ditch, and one comes via a door, and neither one led to good times for Bina. When I go to bed, I really go to bed. Alone. All alone. There's no one invited in. There's no one to invite in. The first time I went to bed I didn't get back up for two months. This time I haven't counted. My name is still Bina and these are my remarkings. Remarkings are different from warnings. If you are careful enough to notice them. And if you don't, I can't help you. It's how it has to be. As you can perhaps tell from the quotes above, the book has bits written in free verse, a nice way to place the words that makes them even more meaningful. Sometimes Bina refers to herself by name as if she is talking about someone else. Other times she talks in first person. There is a lot of beautiful wordplay going on here, and I loved it. I can hear her voice in my head, and I'm listening. This psychological suspense novel starts with a crime, the murder of a young woman, but only gradually reveals the motive as we get deeper and deeper into the book. The viewpoint alternates between a few characters. Lydia Fitzsimons is a middle aged woman, who I understood had issues right from the start. She seems a bit detached from the people around her, in her own little world. But she's definitely not stupid, as some of her choices show. Laurence is her only son, and as the book begins, he is in high school. He's a young man who doesn't fit in well with his peers, and has no real friends. He's overweight, and can be both perceptive and disingenuous. When he does finally make a friend, he chooses someone who is also unpopular, but for very different reasons. Karen Doyle is a woman raised in very different circumstances. Her family didn't have much, but she was close to her older sister Annie, the rebellious one in the family, and knew her parents cared about her, even if they weren't demonstrative about it. The two families are drawn together, because the woman that either Lydia or her husband Andrew killed (you're never really quite sure whose action was the final one) was Karen's sister Annie. As the story develops and time passes, we see the characters in different ways, and I changed how I felt about them as the story unfolded. 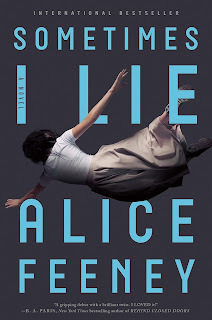 This psychological suspense novel had a couple of mysteries going on, one that I guessed fairly early on, and one that surprised me. The main character, the one whose head we are inside, is Anna Fox. She is a woman in her late thirties, a child psychologist, who has undergone some kind of trauma that has caused her to be agoraphobic. This is the first mystery. Anna lives in a large 4 story house in Harlem. On the ground floor is the entrance, the kitchen and living room, and a small bathroom, painted red. One floor up is her husband's study and her own office, and a storage closet, along with another bathroom. The next floor up has the master bedroom suite, and the top floor has her daughter's bedroom and a spare room. Anna also has a tenant in the basement, David, who's been there a couple of months. The idea to get a tenant came from her psychiatrist, who suggested she give a reduced rent for someone who could help out with small repairs, errands etc. Anna talks to her estranged husband Ed and young daughter Olivia regularly. She gets groceries including a lot of red wine delivered, and her psychiatrist and physical therapist visit her at home. The remainder of her day is spent online, where she participates in a forus for agoraphobics, ands plays chess, and looking out the windows at the neighbours she can see, and watching noir movies. Anna uses her camera to zoom in on her neighbour's activities and uses the internet to do some research on them, to find out background information. She really has no other contact with the outside world. A change occurs when she gets new neighbours in the house across the small park next to her house. The Russells move in and she sees the husband and teenage son on moving day as she looks out. Soon after the son, Ethan, visits with a candle, a gift from his mom, and Anna surprises herself by letting him in and having a nice visit with him. Is it because she misses the previous contact she had with children in her job, because she misses her own daughter? Who knows. When another chance encounter due to outside actions cause her to meet the woman of the house, she finds she likes her quite a bit, and feels the possibility of a friendship beginning. A second visit by the woman only deepens this feeling. When she sees a terrible thing happening to the woman in the house across the way, she wants to help. She calls the police, and tries to do more. But the police doubt her story, and her alcoholism, the pills that her doctor has prescribed her for her situation, and her situation have the reader questioning her as well. How confused is she? What has she seen, and what has she imagined? This is the second mystery. Anna's own questioning and some of her behaviours are erratic and unreliable. She is a well-meaning woman still recovering from a trauma that also has an element of guilt to it. She's been stuck in her house for nearly a year, and the isolation isn't helping. I liked Anna, and I worried for her, and I wanted her to be okay. The story was well-developed and had its surprising moments, and I enjoyed that as well. 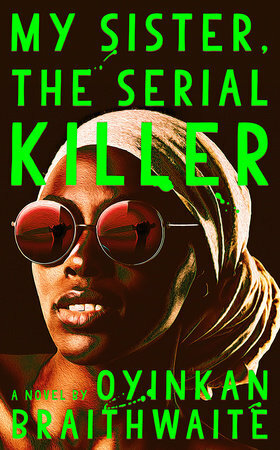 This novel is set in 1976 and 1977 in Johannesburg, South Africa. There are two main characters that you have narrating the plot. One is a nine year old white English girl, and the other is a middle-aged black woman with a college education. It gets off to a slow start, but I was soon fully engaged. I'd left this read for my book club until the last minute, but it was no problem reading the whole book in one day. Robin Conrad is the nine year old child. Her parents have an English background, and her father is a mine supervisor. She is left out of the play activities of the other children in her neighbourhood as they are all of Dutch background. She is also a bit of a tomboy, and would rather play with boys than girls, which the boys definitely want no part of. Robin has a twin sister, Cat, that one only gradually discovers the truth about. This was an interesting aspect of the book and of Robin's character. 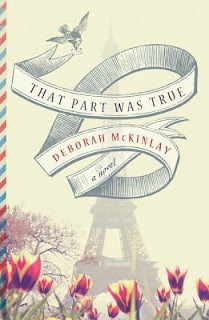 When a tragedy befalls Robin's parents, she goes to live with her aunt Edith, who is a flight attendant, and often away for long periods. This obviously won't work well with being responsible for a small child, and it is some time before Edith finds a solution, and she doesn't find it on her own. Beauty Mbali is a teacher in the Orange Free State. Her husband worked in the mine, but died of work-related disease. She has two sons who live with her, Khwezi who is 13, and Luxolo who is 15. She also has a daughter, Momsa who is 17, and who she has sent to live with her brother in Soweto so that she can go to high school. 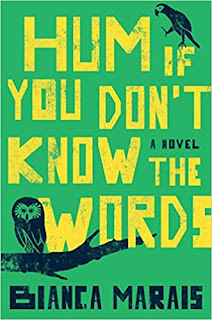 As the book begins, she has received a letter from her brother saying that her daughter is in danger, and she travels to Johannesburg to see what is happening. But she arrives on the day that black students are holding a peaceful march relating to their curriculum, and the police respond with force. Momsa is missing, and Beauty can't find her. She must stay to search for her, and the best way to do that is to get a job as a servant. It is this way that the two stories come together. I liked the diverse characters shown here: Edith, who travels internationally; some of Edith's male friends who are gay; Robin's Dutch neighbours; Robin's parents' black maid, Mable; Edith's neighbours, the Goldman family, who are Jewish; and the caretaker in Edith's apartment building, who is coloured. As we see Robin work through her grief, and her guilt, and look to do the right thing in her own mind, we also see how the various people around her deal with their life situations. 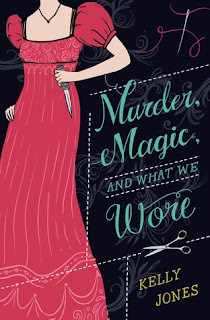 I really enjoyed this read, and the touches of humour that came through despite the serious plot. My book club members mostly enjoyed these aspects as well. This novel, set in Galway, Ireland is a real page-turner. It is the first in a new series featuring detective Cormac Reilly. The book starts with an event from 1993. Cormac is a young policeman, sent out to respond to what he believes is a domestic incident. 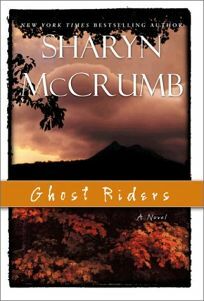 He has trouble finding the house, and when he gets there finds a teen girl and a young boy and their dead mother. The radio in his car is broken, and the house has no telephone, so Cormac takes the two children to town to the hospital. He tries to follow up on the case, but isn't given any encouragement by his superiors. Now, it is twenty years later, and Cormac, recently part of a special ops team, is back in Galway with his partner Emma. The move is partially for Emma's job, but also because Cormac could see that they were going to disband his unit and figured it was a good time to leave. But once back, he is frozen out by most of his colleagues, and put on cold cases. Meanwhile, a young intern, Aisling, discovers she is pregnant. She knows it is the wrong time to have a baby, that she will lose her chance to become a surgeon if she does. So when she returns home from her hospital shift and lets her boyfriend Jack know about her condition, she also shares the difficulties, which causes him to take time to think as well. When she finds him still gone when she wakes, she isn't sure what to think. Has he taken the news harder than she thought? But then, two police arrive at her door and let her know that they found his body in the river, a suspected suicide. With everything else going on in her life, this is too much of a shock for Aisling. She's is numb, and not thinking clearly. But there is someone else on the scene who is thinking clearly, and acting on those thoughts. It is Jack's sister Maude, a woman who hasn't been in his life for the last twenty years. And Maude doesn't believe that Jack's death was suicide. And the police aren't interested in her theories. 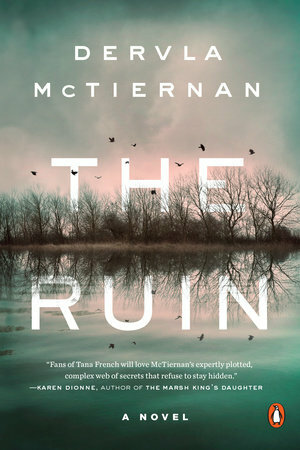 Cormac becomes involved in the case, when he is asked to look again at the death of the woman he found twenty years ago, Maude and Jack's mother. Did she really die by her own hand as the police thought, or was someone else involved. 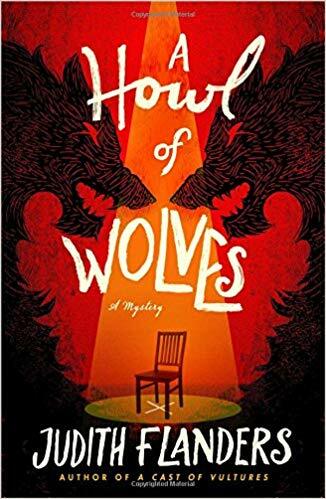 As Cormac digs into the old case, he finds himself finding that outside influences have effects on investigations, both past and present, and he must make difficult choices. This is a great series introduction, and I definitely want to read more about Cormac and his colleagues. Separated into three parts, this short novel tells the story of a marriage, not a happy one. The first part is from 1974, twelve years into the marriage, and is letters from the wife to the husband. He has left the family for another woman, and she doesn't understand why, and is angry and frustrated. She is also in desperate financial straits, unable to make rent and provide for the children's needs. Her letters show her emotional state and her situation. The second part is in the present and the husband and wife leave their apartment for a holiday by the beach. They're arranged for the grown children to stop by and look after the cat. But when they return the door is jammed against something and they find their apartment disturbed and in cleaning it up and picking things up, they are each reminded of the past. The third part is from the children's point of view, both back during the separation and now and we see how their parents marriage affected them. 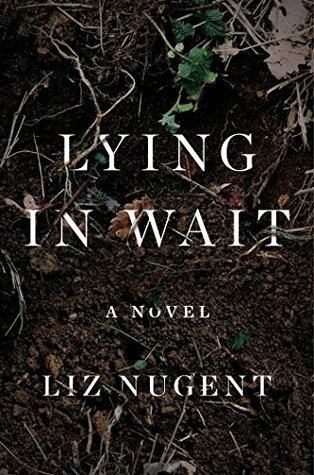 This novel is poignant, and fascinating. Once I got into it, I could barely put it down. This novel follows three sisters, Nell, Meredith, and Lizzy, all daughters of the actress Ronnie Sunshine. Ronnie wasn't a great mother, she was too much focused on being the center of the attention herself. She wasn't patient, or a good listener, or any of the things her daughters wanted her to be for them. But now she is nearing the end of her life, and she looks back with regret on the time wasted, the things she didn't do for her daughters. 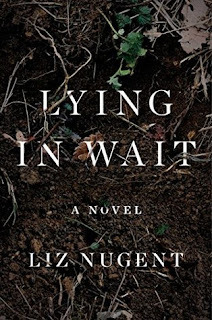 The action starts there, but then skips back to 1981, when she is pregnant with her youngest daughter, Lizzy. We see various vignettes like this from the past, for each of her daughters. Before the children were grown, she'd divorced, and her ex remarried, and the girls weren't part of his new life. They grew apart from each other, each with their own issues. We see them in their lives. Nell as the manager of a small truck farm, not far from where she went to high school, in Connecticut. Lizzy in New York City, making a name for herself as a chef. 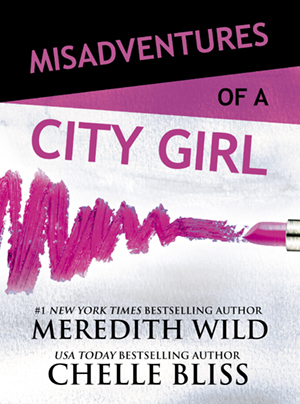 Meredith overseas, plugging away at a job, without the confidence to realize her own worth. As their stories unfold, and as they come back together at their mother's insistence, they find each other again, and find themselves as well. An interesting look at three women, with the same mother but very different outlooks. This was a fun read. Stories that shows small acts of liberation by a variety of female characters. 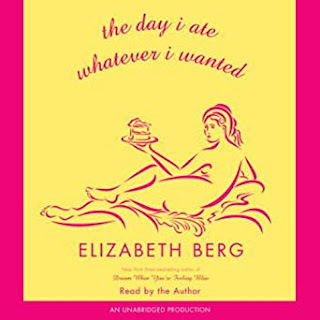 The title story is definitely a fun read, and there's another related one, where the same character doesn't eat anything that she really wants to. There are stories of relationships, aging, loss, friendship, and many other moments that I could definitely relate to. The women here are generally middle-aged. Some are married, some are not. 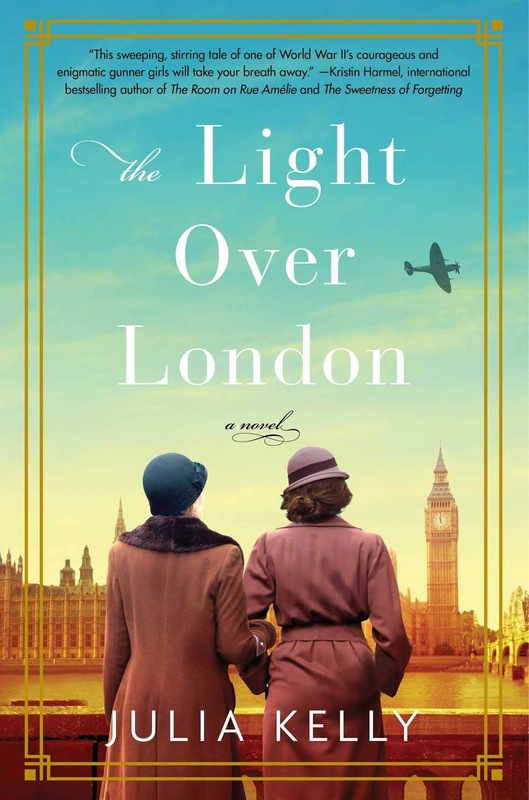 The stories had me laughing out loud at shared experiences, feeling umbrage on behalf of the behaviour of other characters towards these women, and generally enjoying it all. I always enjoy Berg's books, and this one has a lot to offer. I really enjoyed the insights from this book and posted a couple of excerpts to friends as I was reading. He gave great examples of decision making, both personal and societal. His first societal example is the decision to bury Collect Pond, a source of fresh water, in New York City in the early nineteenth century. There was another option put forward, but the short-sightedness about the city's growth ultimately resulted in the bad decision. 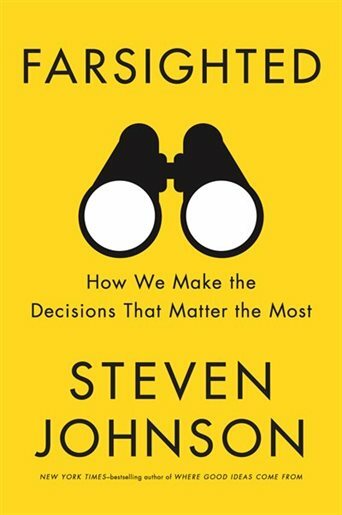 Johnson talks about how, although we often see ourselves today as looking at the short-term, we actually are able to make better long-term decisions today than we were then. Johnson's first personal example of long-term decision making is also from the nineteenth century, and consists of a list found in Darwin's notebooks, on two facing pages in two columns, with one column listing reasons to marry and the other reasons not to. We know that he did marry six months later, so we know the decision he reached, which his also wrote at the bottom of the second page. This idea of listing pros and cons is a much-used tool in making decisions. I've certainly used in in my own life at several instances. What Darwin's example doesn't show is the weight he gave each point in the list, the argument for which Benjamin Franklin gave in a eighteenth-century letter to Joseph Priestley about a decision he was making at the time. Franklin called this Moral or Prudential Algebra. We have more tools available to us now, and we usually term these types of decisions deliberative decision making. The systems we use today are engineered to keep us from falling into preconceived assumptions. A societal decision that is more present day that Johnson comes back to repeatedly through the book is the decision by the U.S. Government to go into the compound in Pakistan where they suspected Osama bin Laden was hiding. Johnson gradually shows all the different elements of information and decision making tools that were used in this case, how they were calculated and guarded against failure, and looked beyond the attack itself into outcomes and how they would manage different scenarios of those. As he shows, these complex decisions have been shown to have several qualities: they involve multiple variables; they require full-spectrum analysis; they force us to predict the future; they involve varied levels of uncertainty; they often involve conflicting objectives; they harbor undiscovered options; they are prone to System 1 failings; and they are vulnerable to failures of collective intelligence. This last point is important to understand. By definition, groups bring a wider set of perspectives and knowledge to the decision making process. But they are also vulnerable to their own set of failings: collective biases and distortions due to social dynamics. There are a number of tools designed to overcome such vulnerabilities. 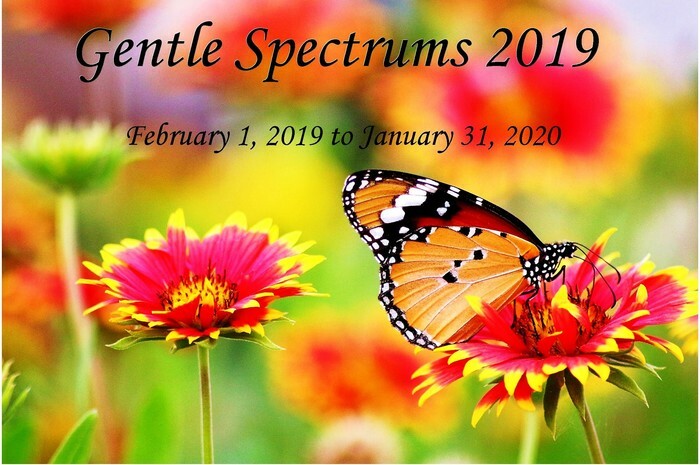 Techniques such as making a full-spectrum map of all the variables and potential paths available; predictions about where those paths might lead, and weighing the various possible outcomes against the objectives. 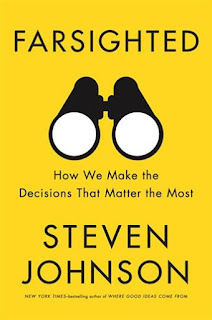 Johnson devotes a chapter to each of these three elements of decision making. 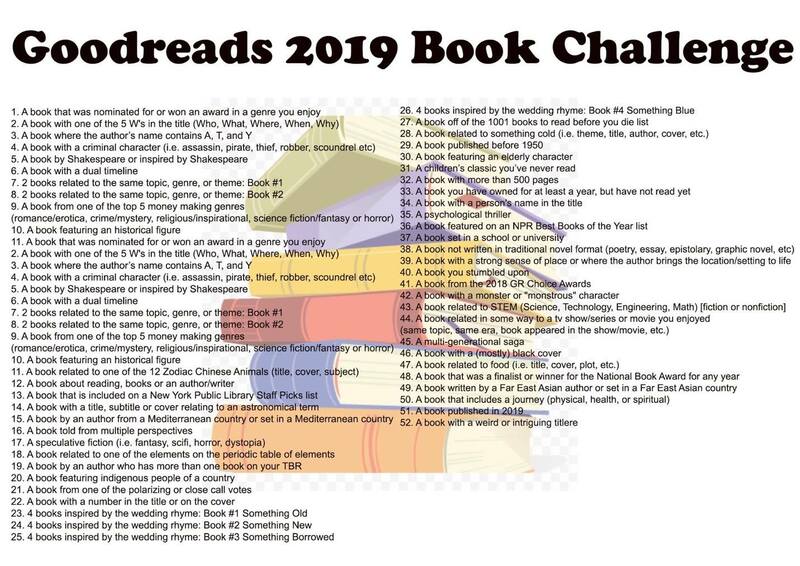 He then has two chapters: one on large social decisions, such as battling climate change, and one on personal decision making, such as those facing the characters in George Eliot's Middlemarch. Literature, and real life both are used in many examples in the book, and this use of examples really worked for me in understanding the decision making process better. This novel is set around the Human Resources department of a company, Ellery Consumer Research.The head of the HR department is Rosa Guerrero, a woman who leads with compassion. Other department members include Leo Smalls, a benefits vice president who is devoted to Rosa, and who has very little in his life outside of his job; Rob Hirsch, a middle-aged married father of two who is increasingly unenthused with the jobs he has before him; Lucy Bender, a single woman looking for her passion and a chance to prove herself; Kenny Verville, a senior manager who considers Ellery a stepping stone to a better future. Lucy is also Rob's "work wife" and the two are close allies. Kenny's wife has a more high-powered job than he does and is very competitive. Rob would love to be able to afford to buy a home for his family, but money is a big worry for him. 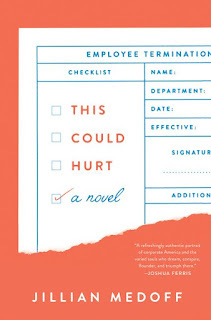 As the book begins, Rosa encounters some health issues and some of the staff try to rally around to cover for her and manage her communications with others in the organization. The book has organizational charts placed at intervals through the book that show the relationships and the reader can see how things change. The book ends with organizational charts going into the future, showing how various characters go on in the future on a professional level. Anyone who has worked in a midsize or bigger organization will be able to recognize some of the dynamics here, and the work environment. We see the various characters change, and adapt to new circumstances. I really enjoyed this read. 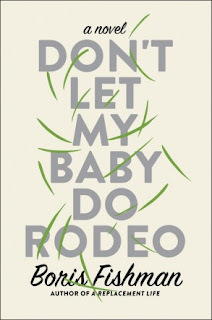 This is an interesting book.Amber Reynolds is in hospital after a car accident. But at first she doesn't know that. To others she appears to be in a coma, but in reality she slips in and out of awareness. 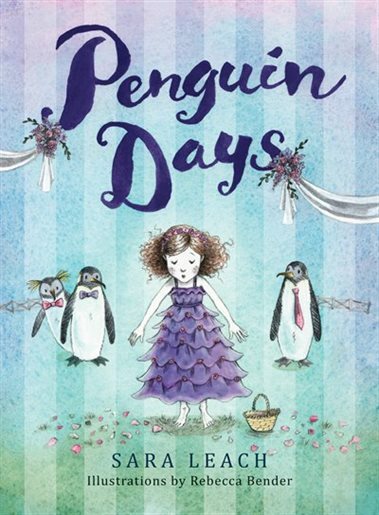 As she gradually learns why she is there from the people around her, and begins to remember the missing days of her memory, we also learn about her childhood, and about her present day life. We learn about her job gradually, and about her relationship with her sister and her parents. But as the books title says, sometimes she lies. 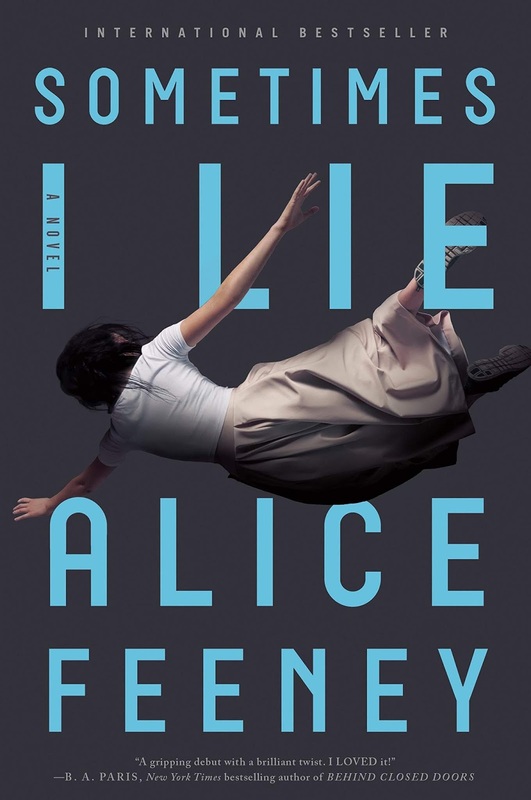 But of course she isn't the only one who lies, and so, as the reader, one isn't sure how much to believe, or who to believe. As you gradually learn about what really happened, sorting out what is true from what isn't, you also find your mind influenced by information that you assume. 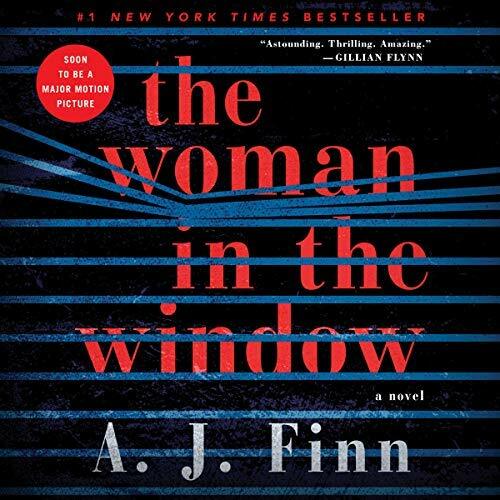 This was a very interesting thriller, with a very intriguing ending. This novel features a few characters that live in a small town in Missouri called Mason. Lucille has lived in Mason all her life, and is in her eighties. Her mind is still keen, and she holds strong to her values. She never married, but has a young woman in her life, Maddy, that she treats as a daughter, and whose young daughter Nola considers her a grandmother. Lucille has been teaching baking classes, but they've been getting more popular, and she is looking to take on an assistant. She has also recently made friends with her new neighbours, Jason and Abby, a couple with a young son, Lincoln. As Abby faces some health issues, Lucille spends time with Lincoln, making a new friend. 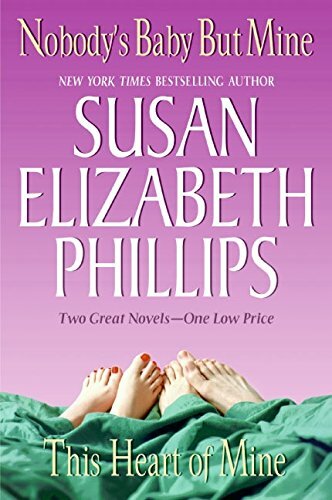 Iris Winters is new to town, leaving Boston after the breakup of her marriage, a decision she still revisits. She befriends her neighbour Tiny, who runs a local taxi business. Tiny is a large man with a big heart, and he begins to ask Iris's advice on his love life. At the local diner, Polly's Henhouse, one of the waitresses, Monica, is beginning to take steps outside her comfort zone after the recent death of her much-loved mother. She's long had a crush on one of her regulars, and begins to consider how to make a move to indicate her interest. As we get inside the heads of Lucille, Iris, Monica, and Tiny, we see the importance of relationships and communication. All the lives of these people are intertwined and as they grow closer, they also overcome barriers. This is a story of love, of loss, of friendship, and of new beginnings. I really enjoyed it. And the baking made my mouth water. 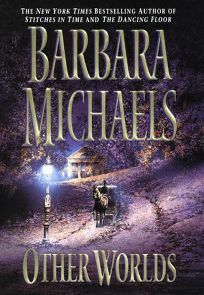 I usually like Barbara Michaels fiction as they have a touch of both mystery and paranormal. This one is a little different. The setup is a fire-side meeting between a number of famous men: Harry Houdini, Arthur Conan Doyle, the psychoanalyst Nandor Fodor, and others. Most of those attending have met similarly before and shared stories of unusual and mysterious situations, then give their own ideas on the truth behind them. This particular meeting has two stories. One happened in small town Tennessee, where a family is first threatened by noises, which grow to more physical manifestations, threats of death, and a reappearance decades later. 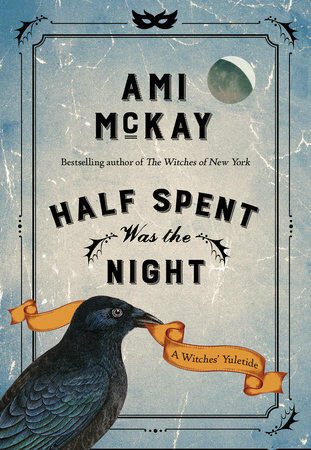 The other is in small town Connecticut, where a recently remarried woman finds that her new husband's interest in the paranormal seems to threaten her children, and bring her unpleasant notoriety. Each of the men has their own take on the situations, with some agreement but it is a woman author who tells the last story and whose intellect is a match for the mens'. This diary was a fascinating look into the experience of being in a country at a very uncertain time. 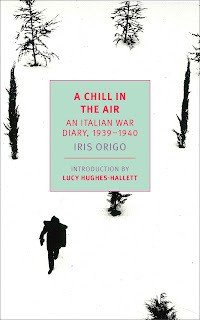 Iris Origo was the daughter of a British mother and an American father. Her father died when she was a young child, and left instructions that she not be raised in either of her parent's home countries, but somewhere else, where she could be free of nationalistic feeling. He suggested Italy, His widow, Iris's mother Sybil followed his advice. She rented, then bought a villa in the hills above Florence and raised Iris there. Iris was a debutante three times, in Florence, London, and New York, but she fell in love with an Italian, Antonio Origo. Together, they defied both their families' plans for them and bought an estate in southern Tuscany that was in very bad shape. The estate included twenty-five farms. The young couple were determined to return the land to fertility and its inhabitants to prosperity. Following the death of her young son Gianni in 1933, she spent some time away, mostly in England, but was back home at the estate by the time that war rumours were beginning. 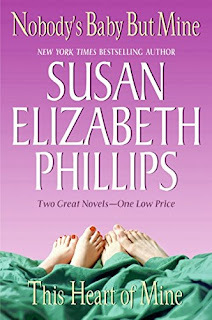 Iris's godfather was William Phillips, the American Ambassador in Rome, and she had a multitude of other highly placed connections, both socially and politically. She had befriended Virginia Wolff during her time in London, and both she and Antonio were well-liked among the local people. 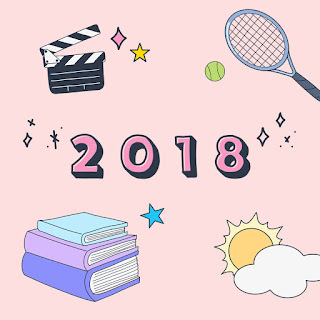 This diary is about her feelings and reactions to what is going on politically and was meant for her eyes alone, as she sorted through what was happening around her. It doesn't include her private life at all. She kept another diary later in the war covering the years 1943-1944 and it was published in 1947, showing the actions of many of the Italian people during this time, and doing much good for the country's reputation following the war. I was fascinated by this book, and really got a sense of what was happening, from the feelings of the people for Mussolini, the propaganda that was distributed, and the uncertainty for the future. 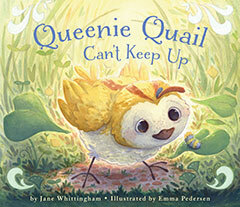 This engaging picture book uses word repetition, alliteration, imagery, and onomatopoeia to bring the story of this young bird and her family to life. As Queenie's parents and siblings rush around around, she keeps getting distracted by the interesting things around her, noticing other creatures, plants, and other bits of the world around her. It is only when her wider outlook on the world enables her to sense danger before the rest of her brood that they begin to value her unique way of being. I liked the simple drawings which showed movement and a softness of detail. I especially liked the fat bumblebees. 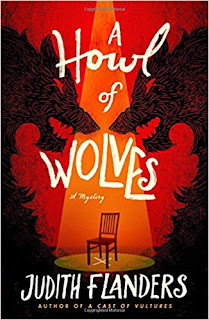 I also liked how the use of sizing, colour, and placement in the words of the story made the noises of the birds come to life, and drew the reader the emphasize the actions and urgings. This is a delightful story of stopping to take delight in the world around us, and valuing the contributions that we may not always recognize as being helpful. This novel has two timelines. As the book begins, Cara Hargraves meets her boss Jock at the house one of Jock's clients wants them to go through the contents of. This is a relatively new job for Cara, as she makes a new start on her life following her divorce. She's moved to the small town her grandmother lives in, and taken a job with an antique dealer. She's studying most evenings to learn about antiques and isn't really interested in a relationship yet. When she finds an old diary from World War II in a tin in the house, and the owner isn't interested, she asks to keep it to track down the story behind it and perhaps the family of the diary writer, and gets permission. 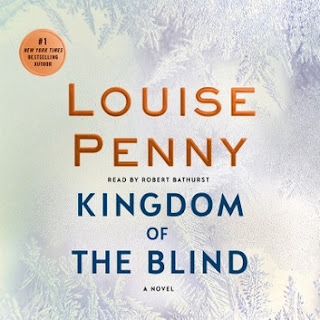 The second storyline follows the writer of the diary, Louise, a young woman from the country, aching to move away from the life her mother has planned for her. She has a dream of going far away and of studying math at university, but her family situation didn't allow her to go beyond high school. As the diary begins she meets a man at a dance and begins a relationship. This small step of independence gets her brave enough to make another move and enlist as a female volunteer in the ATS. After training she gets assigned to a position with the anti-aircraft guns. Cara knows only the initials of the diary writer, and has a picture of her in uniform, recognizing it as the same uniform her grandmother wore in the war. This makes her curious about her grandmother's past as well, something her grandmother has always been reticent about. Cara finds that her new neighbour, a history professor, is helpful in her search, and she begins to come out of her post-divorce depression. As we see both of the women take steps in their new lives, and find their way forward, with the help of friends, we also see Cara unravel a bit of her own past. This novel follows Ginny Selvaggio, a young woman who had been sheltered from the difficulties of life by her parents, as she adjust following their sudden deaths. Ginny has Asperger's syndrome, and has spent a lot of time cooking, learning about food, and following food blogs. When she feels uncertain, making food, or thinking about making food, is her comfort. 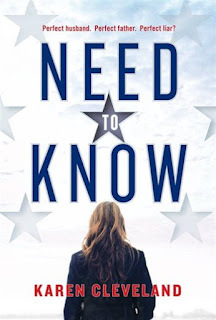 Ginny's sister Amanda seems to think that she will now make the decisions about what is best for Ginny, without even asking her, but Ginny doesn't necessarily want these things. As Ginny goes through old recipes looking for comfort she finds that cooking her grandmother's recipe also brings the ghost of Grandmother, with a cryptic message. Ginny is startled and unsure of what to make of this. She wants to decipher the message and she wonders whether cooking other recipes will also bring the ghosts of those people. And she begins to try things. 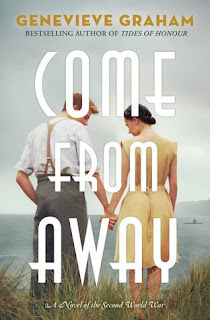 Along the way, taking comfort from the long-time family house cleaner, Ginny also begins to venture out, to make friends, and to explore the home she lives in more thoroughly, finding family secrets along the way. 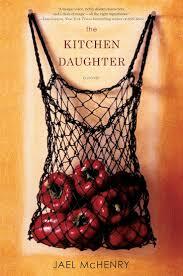 This is a coming of age story, a story of loss, of love, and of food. The author is a food blogger herself, and with food at the core of Ginny's life, this book evokes the tastes and smells of the recipes that Ginny makes. 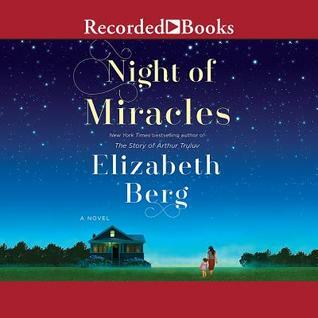 I read this book quickly, enjoying it thoroughly, even the parts that made me cry.